Johanna Bick, Ph.D., of Boston Children's Hospital, and coauthors investigated the white matter integrity of three groups of children who participated in the Bucharest Early Intervention Project (BEIP) from 2000 through the present. At about 2 years of age, 136 children who had spent more than half their lives in institutional care were recruited for the study. Slips of paper were drawn out of a hat to randomly assign the children to remain in institutional care or to be moved to foster care. At the onset of the study, foster care was almost nonexistent in Bucharest, Romania, and institutional care was the standard for abandoned children, according to study background. The BEIP core group (involving principal investigators and original staff members of the study) performed the randomization procedures. The previously abandoned children's developmental trajectories were compared with children raised in biological families and follow-up assessments were done at 30 months, 42 months, 54 months, 8 years and 12 years of age. 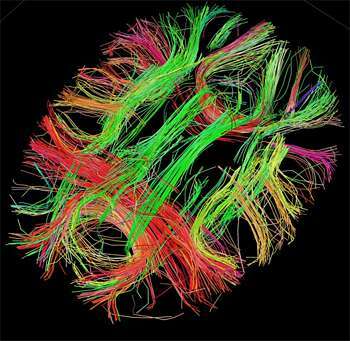 Data from 69 participants (ages 8 to 11 years) were selected for statistical analysis of white matter abnormalities (23 children who went from an institution to foster care; 26 children in institutional care; and 20 children who had never been in institutional care). "Results from this study contribute to growing evidence that severe neglect in early life affects the structural integrity of white matter throughout the brain and that early intervention may support long-term remediation in specific fiber tracts involved in limbic and frontostriatal circuitry and the sensory processes. Our findings have important implications for public health related to early prevention and intervention for children reared in conditions of severe neglect or adverse contexts more generally " the study concludes.